* What excites you most about being a new member at the station? LAWRENCE: Well, I just passed my on-the-air (OTA)test a few weeks ago that felt pretty exciting. I haven’t studied for an in-person, live test like that since before graduate school; it was cool to remember that I still had all those muscles. I didn’t get a perfect score, but I still felt good about how much I was able to learn about how to be fully in charge of what’s going out into the world from a real life radio antenna! But if I’m really honest, I think what I’m most excited about it is the possibility to build intergenerational friendships. I think so many issues with our democracy spawn from our lack of meaningful contact with people who are different from us so I’m pretty jazzed to hopefully get to know people both older and younger than me in the future of my time at WMBR. * What type of show is CoLab Radio on Air and what do you put out on it? L: I wasn’t totally sure what type of show CoLab Radio on Air was, but one time my OTA trainer (shoutout to the magical Galen Mook) said to someone else that it was a variety show and I think that feels spot on. The show has a mix of music, interviews, conversations, and poetry. The general themes for the show are self-determination and the forces and people that shape the cities and space we all live in. The music for each episode is often tied to some idea that connects back to self-determination or cities: for a few episodes I’ve played music all related to transit; last week I played songs that were only from artists who got started in Boston. It’s all all over the place but, hey… that’s what experimentation is for (at least for me)! 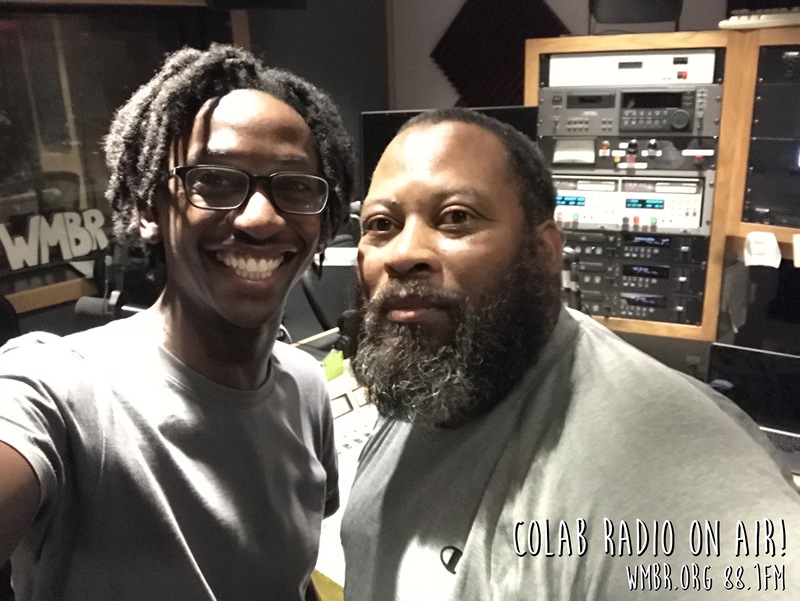 * How did CoLab Radio on Air get started? I happened to be an undergraduate student at MIT during the time CoLab Radio was getting off the ground and so I knew Alexa as well as some of the original vision. One day in Spring 2018 after meeting Yanisa to talk about research, she suggested that I drop by the station for an introduction and that’s when I saw the opportunity: I could make CoLab Radio radio! I actually debated calling the show CoLab Radio2, but I didn’t want to have to explain TWO backstories, heh. * What’s been a particularly thought-provoking topic you’ve discussed on your show? L: The most thought-provoking topic and conversation I’ve had on the show was a conversation with Ayushi Roy, a current student in the Department of Urban Studies and Planning (DUSP) and co-host of The Move Podcast, about the definition of the “self” as it relates to one of the themes of the show, self-determination. It was a fascination conversation and I’m really sad it got truncated because of technical issues. The audio from the conversation can be found here on CoLab Radio’s Soundcloud account. * Do you have plans for the future of the show? You can leave comments by clicking here, leave a trackback at http://blog.wmbr.org/wp-trackback.php?p=458 or subscribe to the RSS Comments Feed for this post.